With the help of laser the AGV finds its way around your facility. No person has to drive the AGV or provide it with a position. Rays of laser are sent back and forth between the AGV and a number of Reflectors in the facility. From this the AGV can know where it is and where it is going. 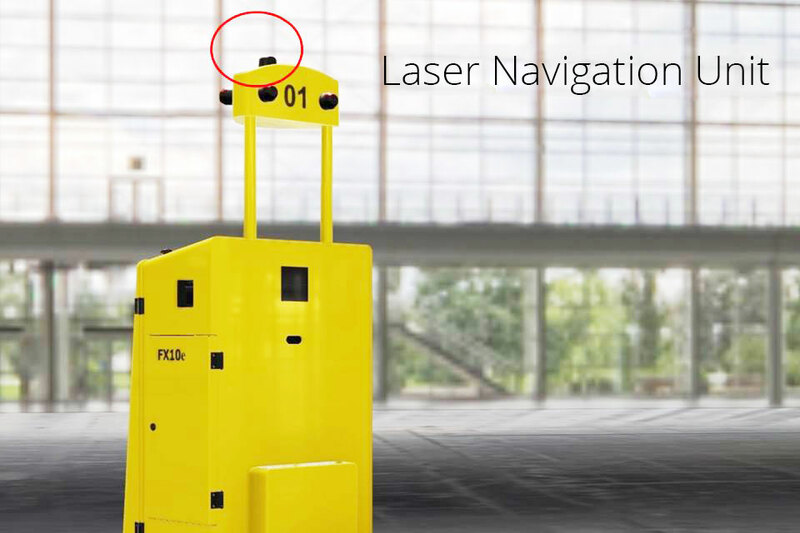 On our AGVs you find a navigation unit containing a laser scanner. 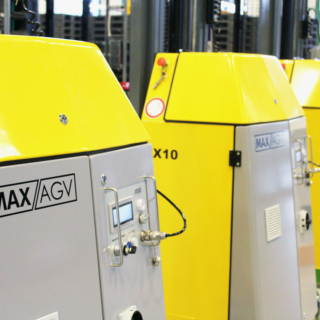 The AGV sends out a ray of laser which bounces back on a number of close by Reflectors which are mounted in the facility. Laser measurement and odometry help the AGV find its way and position. The Reflector map of the entire route layout and all Reflectors is stored in a Master controller located in a stationary PC. The laser navigation enables free range navigation i.e. physical floor reference points, wires, dots, or postion-IDs are not required. Laser navigation is the standard way by which MAXAGV navigates. However, we can also provide magnetic, optical or wire navigation if a customer wishes so. 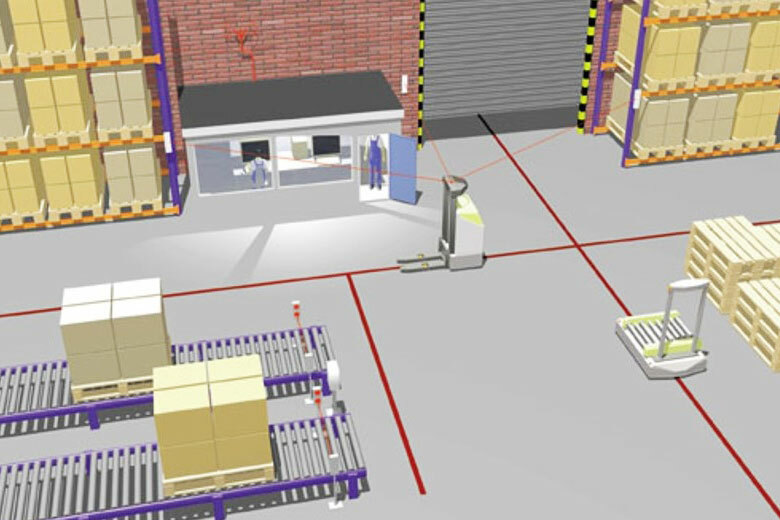 If you decide to extend your production line to a geographicallly different location perhaps to a separate building within the present compound, you are able to do it in the same AGV system. Also, you can easily extend the present layout with a new layout configuration, new AGVs or other equipments. The master system is fully extensible.